In a possible world-first, green energy company Fortum will be running a taxi service during the Finnish Ruisrock festival in July. The Singalong Shuttle is a taxi that only accepts singing as payment. The music lovers’ dream rides are emission-free and operated on electric cars. Fortum Singalong Shuttle combines rideshares with Carpool Karaoke – and is purely run on electric cars. It is perhaps the world’s first taxi that you pay by singing. 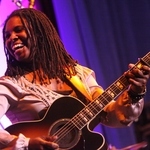 Singalong Shuttle will operate at Ruisrock festival in Finland 6-8th of July. Singalong Shuttle is provided by clean-energy company Fortum, who wants to engage its customers and the society to join the change for a cleaner world. The company offers a wide range of clean energy solutions and encourages its customers to live a more sustainable life. Fortum is also actively developing sophisticated EV charging solutions. Fortum Charge & Drive EV charging network is the largest one in the Nordics with over 2000 chargers across the area. 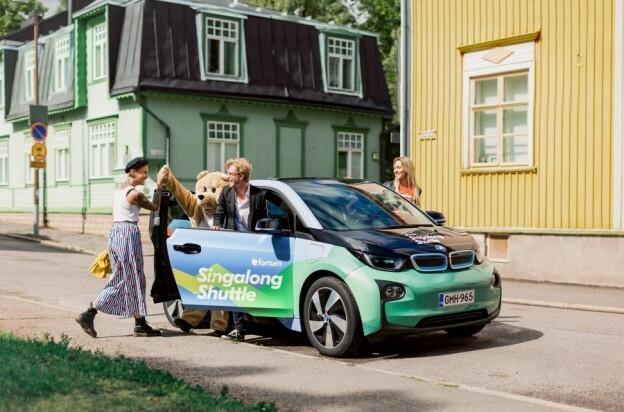 “With Singalong Shuttle we want to show people in a joyful way how comfortable and easy it is to drive an electric car,” says Fortum’s Brand Manager Jussi Mälkiä. “The silent electric cars make it possible to enjoy singing without background noise and emissions,” he continues.